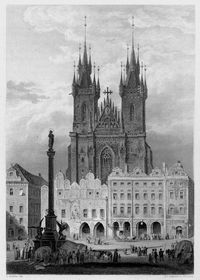 This Saturday marks exactly 100 years since the destruction of one of Prague’s then best-known landmarks, a Marian column on Old Town Square. 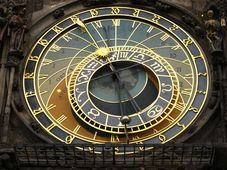 The monumental Baroque structure was built in 1650 in gratitude for the end of the Thirty Year’s War. 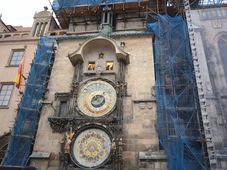 But more than 250 years later, it was torn down by an angry mob, which saw it as a symbol of the Habsburg takeover of the Czech lands. Photo: Public Domain The 14-metre Marian column, which was once one of Prague’s most imposing monuments, was unveiled in 1652 as a symbol of gratitude for successful defence of the city against the Swedish Military in 1648, at the end of the Thirty Years’ War. More than 250 years later, on November 3, 1918, it was toppled by an angry mob which considered the monument to be anti-Czech, and believed that it stood there for defeat at the battle of Bílá Hora and centuries of resultant Habsburg oppression. 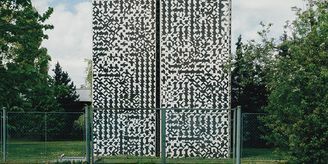 “Tearing down the column happened at a time of great social and political turmoil, just five days after the establishment of Czechoslovakia, and the time was filled with emotions. 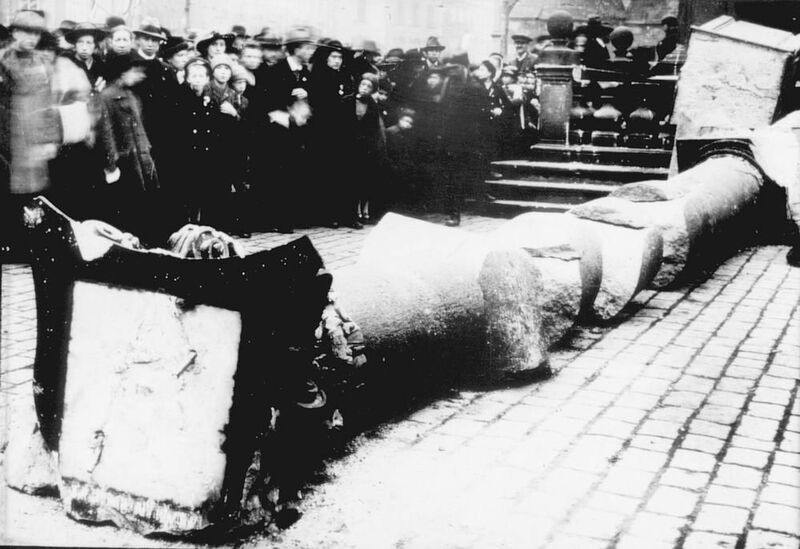 The monument was felled by Prague firemen, under the supervision of anarchist, writer and bohemian František Sauer, who Kukla says later deeply regretted his actions. “For me there is no particular political or religious reason. 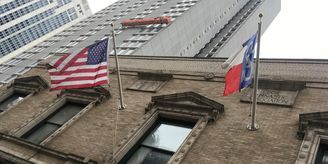 For me the prime reason is architectural and urbanistic. The column was extremely beautiful and it is simply missing from the square. For me this is one of the possible steps to revive the centre of the city. The destruction of the Marian column will be marked by a gathering on the Old Town Square on Saturday. 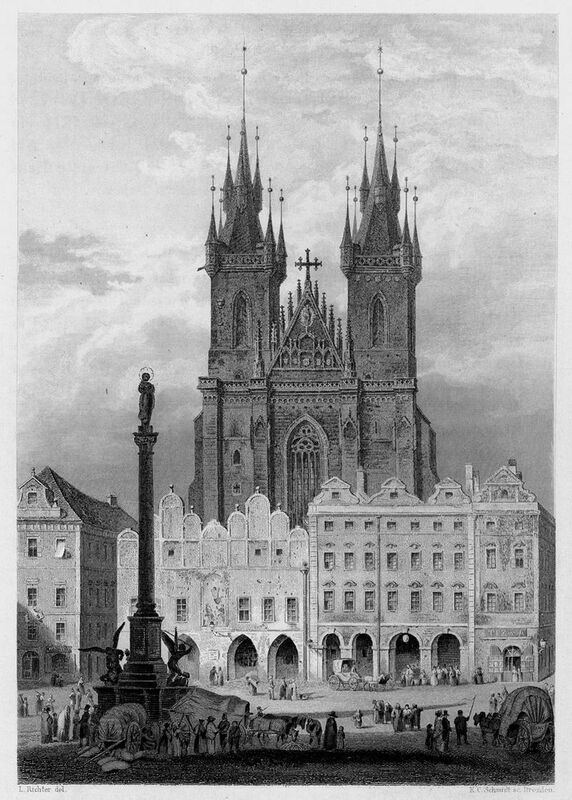 A mass for the renewal of the column will be celebrated at the Church of Our Lady before Týn. 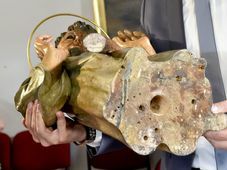 Following the mass there will be a procession to a replica of a statue of the Virgin Mary, which once adorned the Baroque monument.